Jack Daniel's ~ Barbecue Sauce ~*Many Flavor Choice! 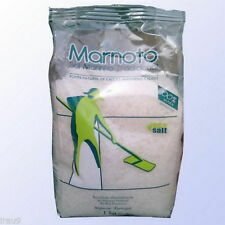 SEA SALT 100% Natural Bio Algarve Culinary Unrefined 1Kg - 35.2oz - 2.2lbs. Made in Portugal - Algarve. ideal for cooking, is the special touch that gives a unique flavour to our dishes. Culinary 100% Natural. McDonald's Big Mac Sauce | Brand New | Factory Sealed | Limited Edition | RARE!! 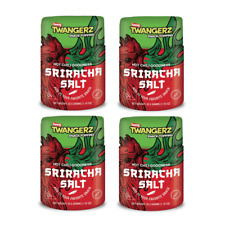 Twangerz Sriracha Salt is the newest addition to the Twangerz line of quick, low-calorie salt blends from Twang Partners. The new topping adds bold hot chili spice! Everyone’s favorite hot sauce is now available in a granular form. Trending at C $11.08eBay determines this price through a machine-learned model of the product's sale prices within the last 90 days. 1.5 litres. Listing is 1 bottle. All items are new and fresh. Never old or expired! Sent to you from Canada. Quality Guaranteed. What is the Best before or use by date?. If you're not happy with your order, we're not happy. Just let us know. Darrell Lea. While we work to ensure that product information is correct, on occasions manufacturers may alter their ingredient lists. What is the Best before or use by date?. Image and Product Information. Do you have a pickup location?. If you're not happy with your order, we're not happy. Just let us know. While we work to ensure that product information is correct, on occasions manufacturers may alter their ingredient lists. G Hughes Sugar Free Original Recipe Ketchup. No High Fructose Corn Syrup. Cage Free Eggs, Gluten Free, Grain Free, Dairy Free, Sugar Free, Canola Free, and Soy Free. Certified Paleo. Avocado Oil, Water, Organic Extra Virgin Olive Oil, Organic Coconut Aminos (Organic Coconut Flower Blossom Nectar, Sea Salt), Organic Apple Cider Vinegar, Organic Distilled Vinegar, Organic Roasted Garlic, Sea Salt, Organic Black Pepper, Organic Cage-Free Eggs, Nutritional Yeast, Gum Acacia, Organic Lemon Juice Concentrate, Organic Garlic Powder, Organic Tapioca Starch, Konjac, Organic Rosemary Extract. Dave's Ultimate Insanity Hot Sauce "The Hottest in the Universe !" 5 Oz. DAVE'S ULTIMATE INSANITY HOT SAUCE "The Hottest Sauce in the Universe!" Dave's Ultimate Insanity Hot Sauce is the hottest hot sauce made by the company. It 's the hottest sauce in the universe as they claimed it! So if you love hot hot hot, this sauce is the one for you! Warning! Use one drop at a time!!!!!. 5 out of 5 stars - Dave's Ultimate Insanity Hot Sauce "The Hottest in the Universe !" 5 Oz. 11 product ratings11 product ratings - Dave's Ultimate Insanity Hot Sauce "The Hottest in the Universe !" 5 Oz. Good Seasons Italian Salad Dressing & Recipe Mix. Good Seasons Zesty Italian Salad Dressing & Recipe Mix. Other Information. My Product is expired or looks like it has short shelf life?. Probably the best Oregano in the World. Hidden ValleyOriginal Recipe Salad Dressing & Seasoning Mix. After adding it to the rice, let the rice soak the vinegar for 10 seconds, and start mixing. When rice starts shining with the vinegar, cool the rice down with a fan. 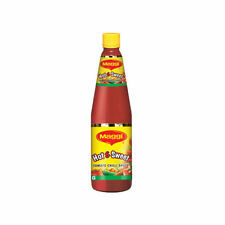 Add 30ml of this vinegar to 320g of cooked warm rice. "SHAHI ELAICHI SUPARI" THE REAL TASTE OF CARDAMOM. You Are Buying 2 Boxes of Shahi Elaichi 48 total Pouches. Heinz Yellow Mustard. 14 oz Bottle. One bottle of White House Vinegar. 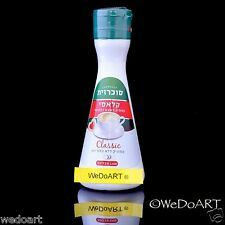 White House Vinegar Choices & Details ~White House~. Apple Cider, -16 oz. Indomie (Nigerian) pack of 4. Onion Chicken. Super pack. Delicious! Oregon Tilth Certified Organic by. Annie's Naturals (Annie's Naturals). It is important for us! United States. be careful. New Lot 8 Packets Good Seasons Italian Salad Dressing & Recipe Mix Good Seasons Italian Salad Dressing & Recipe Mix 2 Boxes of 4 Pouches each Pouch Makes 8fl oz If this date is not current please be advised I am just running behind, you will ALWAYS get a fresh product from me as I shop and rotate stock weekly!! Brand New Be sure to add me to your favorites!!! !! !THANKS FOR LOOKING!!! This Vendio Gallery is best viewed with Macromedia Flash Player 6 or higher. Click here to get the latest Macromedia Flash Player. Posted with eBay Mobile On Aug-03-13 at 19:09:41 PDT, seller added the following information:. Hershey’s Chocolate spreads ~ Your Choice!